TORONTO, May 11, 2018	(Newswire.com) - ​​Inolife R&D Inc. (“Inolife”), an emerging specialty medical device company, announced today the receiving of the working pre-production units of its revolutionary Nanojex® needle-free nanoparticle powder injection technology. The working prototypes were created in collaboration with Precimold Inc. (“Precimold”), a renowned contract manufacturer specialized in precision plastic molding for the medical and pharmaceutical industry. ​With Nanojex, Inolife introduces the next-generation of drug delivery technologies, which includes a revolutionary nanoparticle accelerator and drug formulation that propels powdered injectable products such as drugs and vaccines into the dermis. 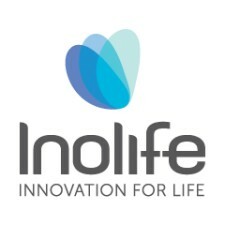 Thermostable, totally pain-free, low-cost and two to 1,000 times more potent than its liquid-form injectable equivalent, Inolife's powdered injectable technology promises to be disruptive and change the landscape of drug delivery. With the mission of becoming the GO TO company in North America for the production of small and medium volumes of high-precision injection-molded plastic parts that will have a positive impact on health and safety, Precimold was of great assistance in helping Inolife reach this important milestone. 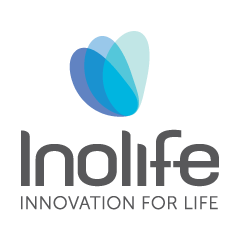 Inolife R&D Inc. is an emerging specialty medical device company focused on developing and commercializing novel drug delivery technologies. Inolife commercializes patented and FDA-cleared needle-free injection devices. The company was founded to take advantage of novel techniques of the liquid jet and ballistics-based epidermal drug injection that improve patients’ quality of life by making medicines easier to administer, work better and remove the anxiety and inconvenience associated with hypodermic needle injections. Established in 1966, Precimold specializes in precision plastic injection molding of complex and difficult-to-make components for technical, medical and pharmaceutical applications. Precimold is certified ISO 9001 and in the process of obtaining its ISO 13485 certification. Their clean rooms are Class 10,000 and Class 100,000, allowing them to manufacture, assemble and package medical devices, healthcare and pharmaceutical products. For more information about Precimold, please visit www.precimold.com. Vice-President of Partner Relations, Precimold Inc.